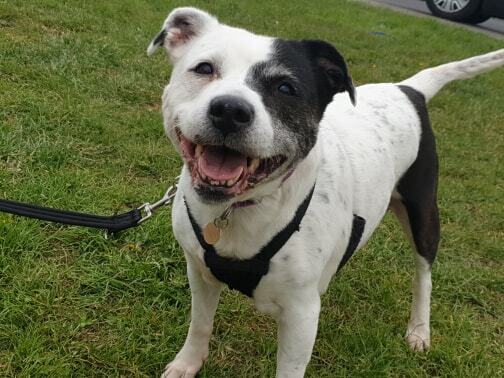 Tiny Tia the Staffy is the most adorable little girl who is a sprightly 7-8 yrs old! 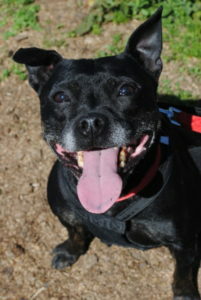 She is a very dinky little Staffy and weighs just 13.5kg. 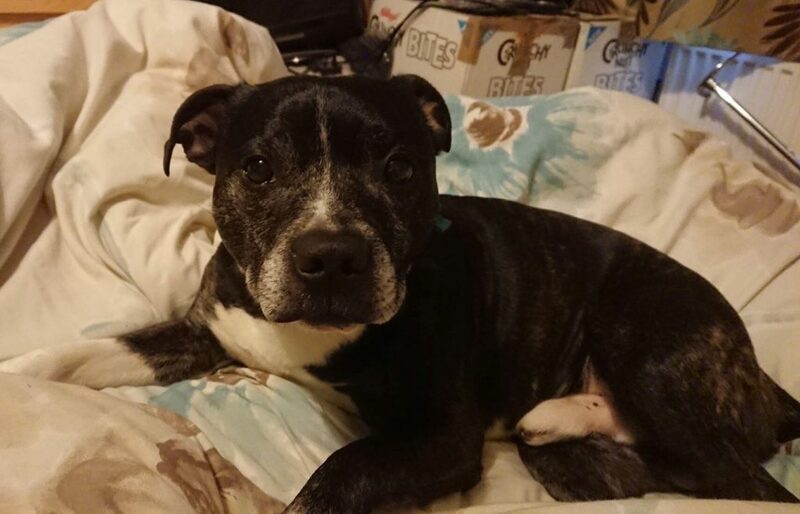 Tia is typical of her breed – super friendly with everyone she meets and is good with children. She has been very well behaved since arriving with us and has clearly had some good training in her past. She knows her commands – sit, down, wait, paw, bed etc and is very eager to please (especially if there’s a toy or treat to be had for being a good girl!). She is a busy little girl who is bouncy and excitable at times, but settles down well after a good walk. Tia is selective around other dogs, and cannot live with another dog, but can walk alongside other dogs on her walks if kept on lead. She will need some management when out walking as she isn’t a fan of dogs running up to her, but she is very easy on the lead and just needs to be walked in areas where there aren’t many dogs around and to be given some space. Tia travels well in the car, is fine to be left for a few hours and is fully housetrained. She will make a fantastic addition to a Staffy loving family.